Black Cat® Fireworks, the #1 most recognized brand for fireworks in the United States, announced that Fireworks Express website has just begun its 14th year serving fireworks enthusiasts nationwide with an exciting and broad line of fireworks products found on Black Cat’s online shopping cart. Fireworks Express is available to online shoppers year round with outlets nationwide offering a wide range of fireworks. Many retail locations are seasonal and these locations that allow online shopping are now appearing live for the customers shopping pleasure and convenience. Pre-Order family fireworks while the selections are the greatest. Get with friends and purchase for a block party. By entering in a zip code or city & state the results will show the outlets closest to that area and then begin the shopping experience. Use Fireworks Express to look for online specials, to plan ahead or to just locate a favorite spot to get fireworks for July 4th needs. Black Cat Fireworks and their partners at Fireworks Express are excited to be offering the latest in a broad selection of products such as bottle rockets, firecrackers, roman candles, aerial items, cakes, artillery shells, fountains, sparklers, missiles, novelty items, wing items and ground spinners. And don’t forget to checkout the ‘Free Stuff & Coupons’ category. 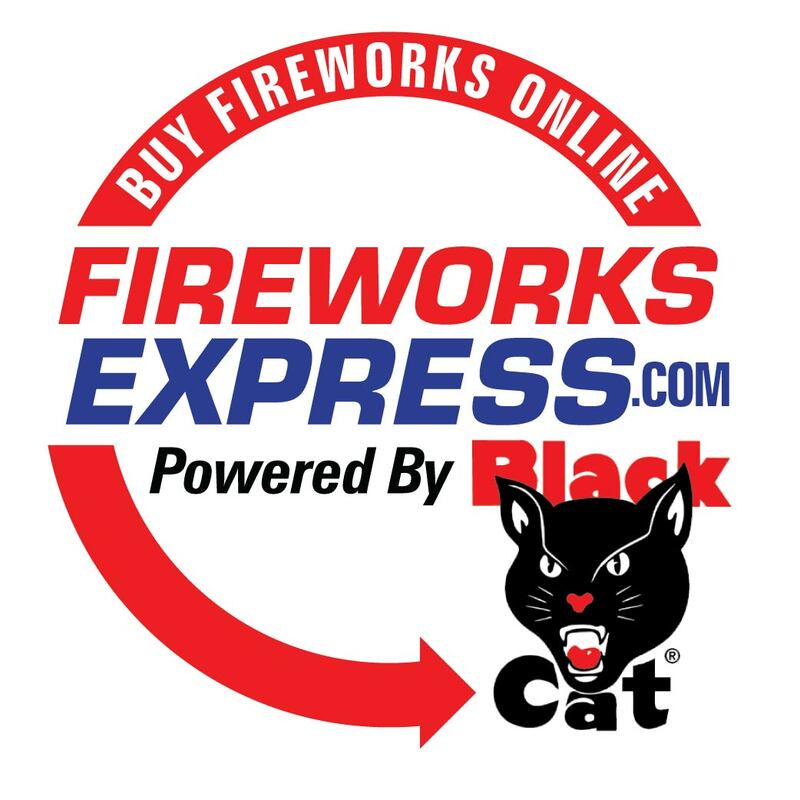 For a complete list of Black Cat® fireworks for sale, as well as other carried brands, by Fireworks Express partners go to the website FireworksExpress.com. The retailers here are frequently adding new items to their product list so consumers should be sure to check back frequently for new listings. Black Cat® Fireworks also offers consumers access to additional outlets nationwide by visiting the Retail Location Finder at BlackCatFireworks.com.